There are a lot of advantages to taking a temporary position that many job seekers don’t consider. If you have been on the job search for an extended period of time, a temp position could be a great option for you. A temp job can allow you to broaden your skills while still earning and still continuing your career search. Last summer, Kelly had just finished graduate school and realized that she wasn’t sure where she wanted her career path to go. After some online searching, she stumbled on Preferred Staffing & Recruiting, and knew right away that it was a good fit. Kelly said, “PS&R helped me revamp my resume and got me on the right track.” She hadn’t necessarily been looking for a temporary job, but within a week of coming to us Kelly was offered a temporary Administrative & Sales position at a medical device company. As it turns out, this was a great fit for her. According to Kelly, “it was a good way to ease into my first official job”. Less than five months into her temporary role, she was offered a raise and a permanent salaried position. Kelly is a great reminder to keep an open mind about temporary opportunities! If you are searching for a job, whether temporary or direct, let PS&R help you with your search. Contact Kathy Orcutt at 617.723.1919 or visit our website at www.psandr.com. 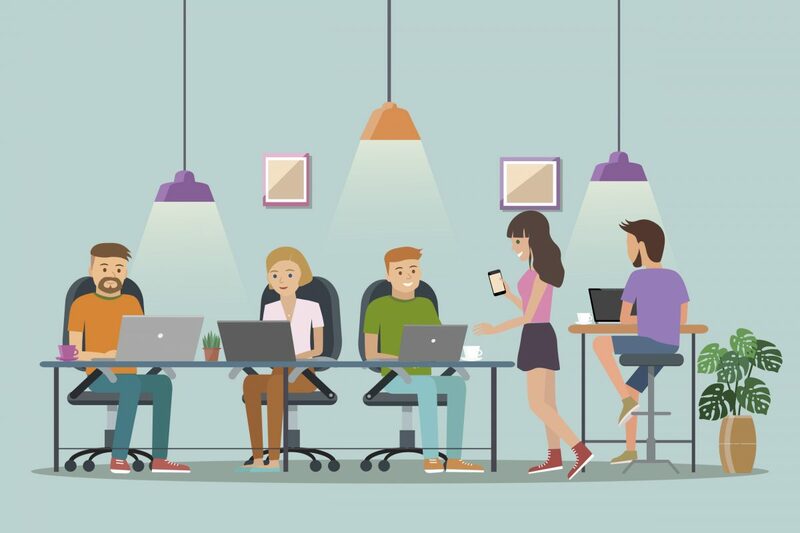 According to the Pew Research Center, 35% of the American work force consists of Millennials, making them the largest working generation. Given the sheer size of this group, why are so many companies having difficulty retaining talented employees under the age of forty? Challenge them, but also have fun. Not only are Millennials incredibly well educated, but they also grew up during a time of rapid technological change. As a result, these younger workers want to be lifelong learners. They expect a challenge, so they are happiest when managers provide consistent opportunities for their development. You can show top talent in this generation that you care about their future career by putting learning and growth opportunities at the forefront of your workplace culture. Millennials also believe in work-life balance. You probably know of companies that have created common gathering spaces and weekly social events. This is likely an effort to accommodate the need of Millennials to integrate work with play. Let them make a difference by working for you. Millennials grew up believing they were capable of changing the world. They were encouraged to be highly educated and to get involved with global events and social issues. This generation will relate better to an organization that has a broader connection to the outside world. As an employer, you can connect to Millennials by putting the mission and values of the company first. Make sure the culture involves giving back to the community in some way. Show them their value. The recession in 2009 was difficult for all, but Millennials were especially hard hit. Many lost their jobs or their starter savings. Because of this, this generation is looking for reliable benefits that include a solid retirement plan and a wage that matches their cost of living. Showing loyalty to Millennials through compensation packages will make them work harder for you. Turn to an experienced recruiting firm for help finding, hiring, and retaining top talent in the Millennial generation. Contact PS&R today at 617.723.1919. 1. Become a list maker. There is nothing more satisfying than crossing off “to-do’s”. Whether you keep yours electronically or the old-fashioned way; start each day off with a fresh list. The easier and quickest to accomplish tasks should be at the top. Work your way down to the harder and more labor-intensive assignments. Keep in mind that you should not be trying to solve the worlds’ problems on a daily basis – your list should be manageable and 100% doable. After all, the idea is to get every item crossed off by the end of the day, so you feel a sense of accomplishment and motivation for tomorrow! 2. Review and revamp your online presence. It’s time to update! Get rid of that profile picture from 2015 with a fresh and recent photo. Add new skills and interests to your LinkedIn page. While you’re at it, why not update your resume to reflect your most recent accomplishments in your current job? You never know when an opportunity might arise, so even those who are not on the job hunt should be prepared. Your desk, your email inbox, a junk drawer in your kitchen… these are all places where things tend to pile up. Facing this mess every day can bring you down and be demotivating without you even realizing it. Dedicate twenty minutes to organize each space in your life where things have become unruly. Take the time to shred old documents, erase and unsubscribe from unwanted emails, and throw away those broken pencils and expired CVS coupons. You’d be surprised how much better you feel seeing these places clean and organized. 4. Take some time for yourself. Looking forward to a planned trip can be very motivating. Francine Lederer, a clinical psychologist in Los Angeles told ABC News, “Most people have better life perspective and are more motivated to achieve their goals after a vacation, even if it is a 24-hour time-out.” Don’t put off planning the vacation time you have earned. Get something on the books now for 2019. If finances and vacation timing are making it difficult to plan your dream trip; consider taking a long weekend doing something you love. It could be camping, painting, cooking, or spending the day reading a book at your favorite local beach. Dedicating time away from work doing something that makes you happy will greatly improve your mood and motivation. PS&R wishes you all the best for happiness and success in 2019! If your New Year’s goals include finding a new job, contact us at 617.723.1919. 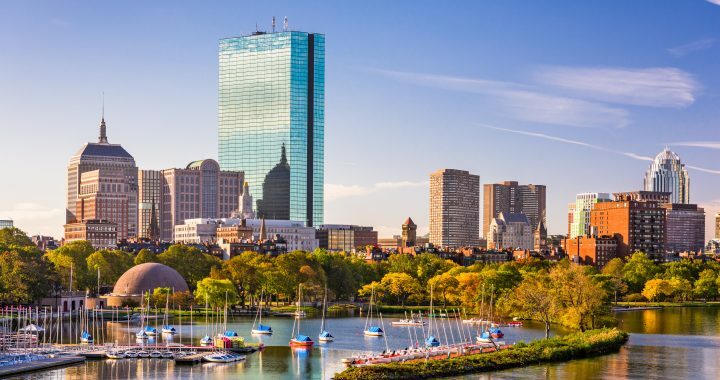 New York and San Diego also scored well, but Boston was the only US city that made the top 10 of the list. The holiday season is upon is, but that doesn’t mean your job search should stall. This is a great time of year for networking, so get out there and mingle! A new year also means a new budget, so companies might be doing more hiring in January. Give your career search a jump start and contact PS&R at 617.723.1919. Or visit our Job Listings page to find a job that’s right for you! Is Your Recruiter Experienced Enough to Trust? Our clients believe that three major themes set Preferred Staffing & Recruiting apart from other recruitment agencies: Trust, Experience and Action. Kathy Orcutt, founder and president of PS&R, is hands on with each and every client and candidate. Her professionalism coupled with her phenomenal listening skills put people at ease, confident in the knowledge that she is truly working for them. As the operator of a small business herself, she works hard to find small businesses and non-profits to work with. Kathy quickly connected with another local woman business owner in need of a temporary office manager. This business owner said; “This was the first time my company has used a temp agency, and we hit the jackpot when we found PS&R. They are so professional and Kathy Orcutt, the owner, treated us like we were her only clients!” There’s no need to deal with a large recruitment firm when you can have a reliable and personalized experience with PS&R! PS&R was originally established in 1984. Now, with over thirty years of experience, we continue to provide top quality staffing services to companies and institutions in the Greater Boston area and beyond. Kathy’s team has placed temporary and direct hire candidates across all industries. We work with one particular client to seasonally staff dozens of temporary positions, and here is their enthusiastic response: “Preferred Staffing and Recruiting provides me with both quality and quantity candidates. They know the level of candidate talent that I require and personally meet with each and every one before submitting for my approval.” Our ability to produce multiple qualified candidates for every client comes from years of industry knowledge. Come and learn why Preferred Staffing & Recruiting’s collaborative and consultative approach makes us the best staffing agency in the greater Boston area and the perfect fit for you. Visit us at www.psandr.com or call Kathy today at 617.723.1919. You need to make a new hire – and fast. It’s easy to rush through the decision-making process when you’re under pressure. But sometimes the candidate that appeared to fit the culture of your company at first glance, doesn’t actually have the work ethic you expected. Or it could turn out that the candidate who was polished and well-spoken in an initial interview presents completely differently on their first day of work. Avoiding a rash decision and hiring the right candidate the first time around will save you time, energy, and money. PS&R offers some insight into ways you can find the perfect fit for your job opening. Ask for several references. Connecting with potential employee references can be difficult and time consuming. But don’t settle on just one positive reference. It’s important to get feedback from both a supervisor and a colleague. One can tell you how the candidate performed, while the other can give insight into how the candidate interacted with peers. Also consider speaking to references from several different companies. This will help you get a more well-rounded picture of the applicant. Know the requirements of the role. It’s easy to hire someone who is generally good at a lot of things. But if the work at hand requires a specific skill, make that clear to applicants. Keep a check list of skills and experiences someone would need to be successful in this job and use it during your interviews. You might really like one candidate, but if they fail to check off on a majority of your list, it’s probably time to move on. Set a process and stick with it. Will the position be posted internally first? How many candidates will you see before narrowing down for second interviews? If you don’t find any qualified candidates the first time around, how long are you willing to extend the search? Without a clear idea of the process, it’s easy to make a “gut decision” and hire quickly without following through with other candidates. Make an outline of the steps you need to take to fill the position and confirm that everyone involved in the hiring process is onboard. This will lead to a more deliberate and thoughtful hire. Partnering with a seasoned recruitment specialist like Preferred Staffing & Recruiting takes the burden of this process off of your plate. We’ll make sure you find the best fit the first time around! Kathy Orcutt is the founder and president of Preferred Staffing & Recruiting. She has twenty years of experience in the recruiting industry in the great Boston area. As a woman-owned and DBE business, Kathy and her PS&R team provide permanent and temporary workforce solutions for a broad range of businesses. Dress professionally and be punctual. Even if the company comes across as casual, you will make a better impression if you are overdressed rather than underdressed. Also, make sure you are on-time for your scheduled interview. It sounds obvious, but you’d be surprised by how often candidates arrive late without any communication. Be a good listener and ask thoughtful questions. Your interview is an opportunity for the hiring manager to learn about you, but you don’t want to drone on endlessly about your background and skills. Make sure not to talk over the interviewer and give them a chance to ask follow-up questions. When it’s your turn to ask questions, go beyond the basics. Inquire about the culture of the company and how the position fits and interacts with the broader organization. These types of questions show that you are interested in learning more about their business and the opportunity at hand. Again, it might seem like a no brainer, but often when we’re nervous we lose sight of our body language. Make sure to smile and make eye contact. Try not to slouch or fidget while answering questions. As they say, you never get a second chance to make a first impression! Our home state of Massachusetts is on the forefront of the movement for equal pay and rights for employees. Last month the equal pay law was updated to provide clarity on what constitutes unlawful wage discrimination. A key piece of the July 1st update made it unlawful for employers to ask candidates for salary history information. Massachusetts is one of only a handful of states that have adopted this kind of law. To help you understand this new law, PS&R has gathered some questions that employers are able to ask, and some you need to avoid. How much did you make in your last job? How much of your compensation is base salary versus commission? Why do you think this salary is appropriate for you? What is your salary requirement or expectation? What value would you bring to this job? Is there a type of pay structure you would be most comfortable with? Remember that job candidates can volunteer pay history information on their own, it just can’t be actively solicited by a recruiter or human resources manager. Don’t forget to eliminate pay history questions from paper or online documents, such as employment applications. Working with a Massachusetts recruiter like PS&R is an easy way to navigate this new law effectively. 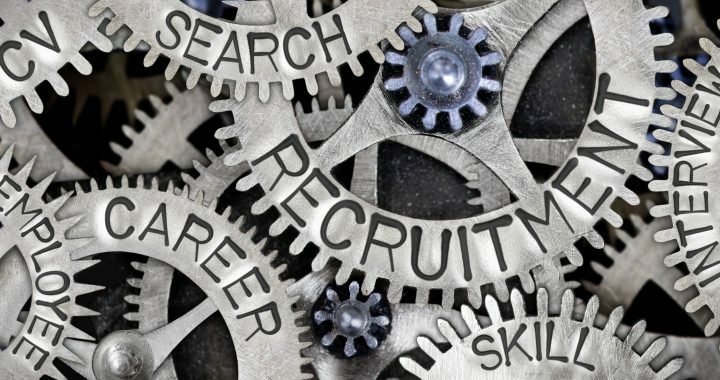 Online recruiting is how recruiters and candidates connect using the web. Job recruiting websites offer an efficient way to share job posts and resumes. With the use of Skype, Facetime and other video call apps, interviews and meetings can take place anywhere and anytime. Online recruiting has saved job seekers and hiring agencies both time and money. One thing to keep in mind is that internet recruiting makes job opportunities more accessible to everyone. The ease of applying means that any single job post can be flooded with applicants. 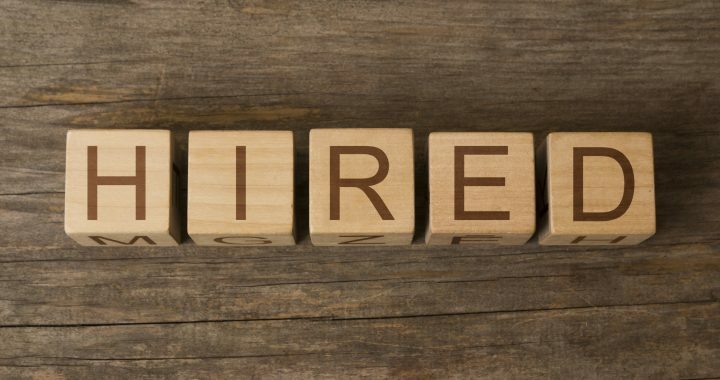 A human resource manager or recruitment specialist may see hundreds of resumes per post. This is great news for that recruiter, as they can quickly scan and pluck only the top applicants. But if you are looking for employment, you want to do what you can to stand out. Pay attention to detail– Make sure your resume is updated, proof-read, and that it is appropriate for the job you are seeking. If you are sending your resume via email, be sure to use correct grammar and spelling. Your resume is less likely to be opened if an employer sees errors right away. Network – Check in with your professional network or use LinkedIn to see if you already know someone who works for the company. An internal referral can go a long way. Clean up your social media presence – Don’t be surprised if your Facebook and Twitter accounts are being viewed by hiring managers. Delete incriminating photos and inappropriate posts – these could turn off potential employers. Find the best recruiting website for you and consider the tips above, and you are one step closer to your next great opportunity! You are a busy HR executive with the goal of attracting, hiring, and retaining the best staff for your business. 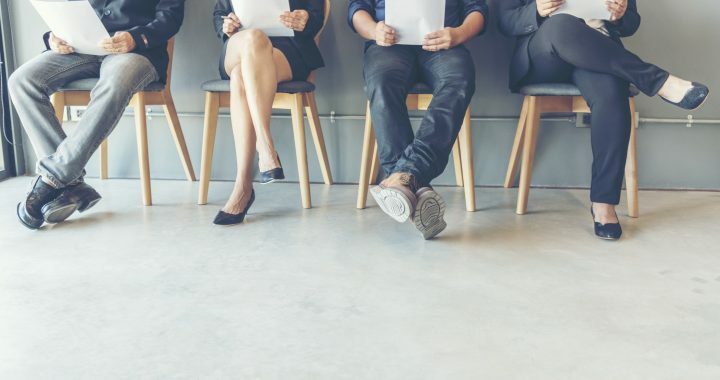 Whether you have partnered with a recruiting agency or you are doing the hiring on your own, here are some steps you can take that can leave a lasting impact on the brand of your company. These actions will help get like-minded candidates to your door faster and make you more successful. Be proactive in cultivating relationships outside of the office. Hiring managers should be engaging in network-related social gatherings, communicating through career-related blogs, and joining job seeker networks. Put yourself out there to create a positive and viral message about your company and the culture it provides. If your company is part of the broader community, you are bound to attract more talent. The key piece here is awareness. Use social media and job review web sites such as Great Place to Work and Indeed to learn what employees are saying about your company. If you are informed, you can respond to questions or inquires in a way that will build on your business reputation. For example, if you know an area in which your company is lacking you can discuss your focus on improving that area. You can also use positive feedback to reaffirm and reinforce where your company is currently exceeding. Consider the fact that job seekers touch dozens of companies a week, either by sending resumes or going on interviews. A future employee is bound to remember the hiring manager who responds to their emails, sets timelines on when they will hear back, and follows through on those timelines. Whether that person lands at your company or another, they will have a positive feeling of their experience with you. Communication and transparency are key to creating a good reputation and brand for your business. If you’ve hired Preferred Staffing & Recruiting to help with your hiring, you can be sure that we are taking all of these steps to find you the best candidate for the job. "I believe my success in this new role is, in part, due to the excellent matching by PS&R of my skills and background to an employer and position that could both utilize me and yet could also give me room and challenges enough to grow and learn on the job."